>How to get to San Sebastian? San Sebastian is well connected both nationally and internationally. You can get to San Sebastian by plane, bus, train or car. The public transport connections connecting the airports to the city are frequent and cost effective. We also offer transfers for arrivals and departures from the nearby airports and train stations. 20kms away from San Sebastian. The airport has connections with major Spanish cities such as Barcelona and Madrid. The E21 “Donostia-San Sebastián/Aeropuerto/Hondarribia” stops in front of the airport every hour. It takes around 45 minutes and is approximately 1.65 €. Check www.lurraldebus.eus for more information. A taxi from the airport cost approximately 30€ to 40€. 40kms away from San Sebastian. The French airport has connections with major French cities and is serviced by some low cost airlines such as Easyjet, Hop and Ryanair. The airport is 1 km from the Biarritz-La Négresse train station. It takes around 10 minutes and is approximately 2€. From the train station you can catch a train to Hendaye to change to the local Spanish metro. There are 5 trains every hour to San Sebastian. Check www.voyages-sncf.com for more information about the French train service. Check www.euskotren.eus for the Spanish metro service. There are about 10 bus services per day between San Sebastian and the Airport. It takes around 45 minutes and is approximately 7€. Check www.pesa.net for more information. 105kms away from San Sebastian. The airport has connections with all major European cities and is also serviced by some low costa relines such as Easyjet, Germanwings and Vueling. There is an hourly bus from Bilbao airport to San Sebastian. It takes 75 minutes and costs approximately 17€. There is also a bus every 30 minutes that connects the Bilbao Airport to the Bilbao Bus Station. It bus takes 15mins and costs 2€. From there you can get a bus to San Sebastian for approximately 12€. It takes around 75 minutes. Check www.bizkai.net & www.pesa.net for more information. There are direct bus services from Barcelona Nord to San Sebastian. It takes around 8 hours and there are approximately 3 buses a day each way. Prices start from 40€. Check www.alsa.es for more information. There are direct bus services from Avenida de America (the main bus station) and the Madrid airport to San Sebastian. It takes around 8 hours and there are approximately 12 buses a day each way. Prices start from 35€. There are regular buses to and from Amsterdam, Brussels, Cologne, Frankfurt, Hamburg, Hanover, London, Paris, Róterdam, Warsaw, Geneva, Zurich and other major European cities. ALSA is the main bus company operating on these lines. There are direct trains from Barcelona Sants to San Sebastian. It takes around 5.5 hours and there are 2 trains per day. Prices start from 30€. Check www.renfe.es for more information. There are direct trains from Madrid Chamartin to San Sebastian. It takes around 5.5 hours and there are 6 trains per day. Prices start from 30€. The TGV connects Paris to Hendaye which is along 19 kms from San Sebastian. It takes around 5.5 hours and there are 5 trains per day. Prices start from 70€. Check www.tgv.com for more information. At Hendaye you can change to the local Spanish metro. There are 5 trains every hour to San Sebastian. Please check your national rail company to see the current connections with the Spanish and / or French rail companies. San Sebastian is connected to the rest of Spain and France by the N-1 (the national highway connecting Madrid to Irun), the AP-8 (Bilbao to Irun), the A-15 (Pamplona to San Sebastian) and the A-63 (Paris to Irun). You can park in one 9 parking stations or at the school. 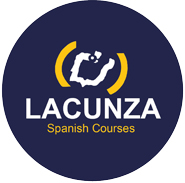 Lacunza IH San Sebastian – Spanish Courses accepts no responsibility for changes in the information provided in this section of our website. Please consult the individual companies for up to date prices and timetables.